Enjoy the comfort and efficiency of radiant heat. 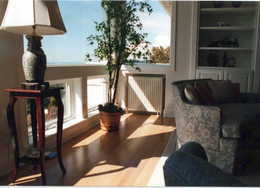 Now ideal for any type of floor – from one of Seattle's most trusted installers of radiant flooring. Already have a radiant heating system? Make it easy on yourself. Sign up today for our automatic, scheduled maintenance program. We service all types, from steam to electric and gas. Speak with a certified technician. We can help you create a radiant floor heating system that's perfect for your home. A radiant floor is the most perfect heating system for comfort, aesthetics and energy-efficiency, and ideal for all types of floors. The comfort and efficiency come from the fact that in-floor heating warms objects, not the air. 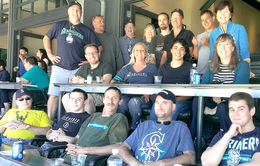 Over the years we have built a loyal and discerning clientele in Seattle and around the Puget Sound area. We work with homeowners to evaluate the heating requirements of a structure room-by-room, and take into account your individual needs and lifestyle. Our goal is to provide Seattle homeowners with a lifetime of trouble-free operation combined with low energy consumption. Our radiant systems employ hydronic heating. Hydronic refers to the use of hot water as the heating medium. It is the heating system of choice throughout most of Europe, where it is found in 95% of homes and buildings. Most of our systems utilize European techniques and technology. You will appreciate the Old World craftsmanship and state-of-the-art technology embodied in these systems and products. If you'd like to learn more about radiant heat, come see our showroom. Or just give us a call. Our expert team is ready to help. 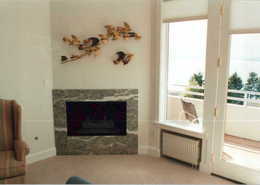 See this gallery of our Seattle Radiant Heat installations. "...With young children, we spend a great deal of time sitting on our floors. The warmth and comfort of the radiant floors in our new home has been phenomenal! Northwest Mechanical not only provides a superior product, but their customer service is outstanding..."
The products of choice in our systems for floor tubing and system controls are WIRSBO and tekmar. "Your heating system has been functioning perfectly and is delivering all the comfort and pleasure that you represented. ...We would be happy to recommend you to other home builders." Revolutionary Plastic Manifold for Radiant Floor Applications.